Smile.Amazon.com Supports Our 501(c) Non-Profit, Medical Veritas International, Inc.
Register to Support Health, Safety, Peace, Freedoms and Honesty in Healthcare When Buying From Smile.Amazon.com. You will Support Trustworthy Care-giving Through Medical Veritas International, Inc. 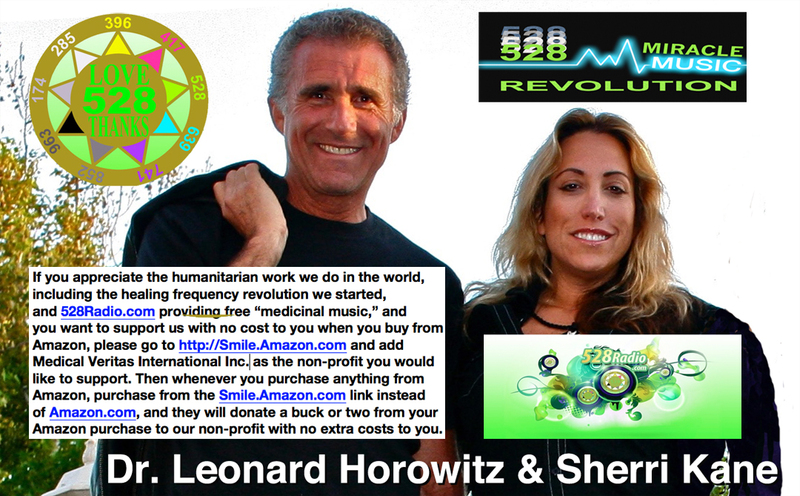 If you appreciate the heroic-humanitarian health-science works of Dr. Leonard G. Horowitz, and investigative journalist Sherri Kane, who advocates for women, children, animals and honest government, then you can donate for FREE to sustain them any time you shop on Amazon. Here’s how . . .
Go to Smile.Amazon.com. Input into the search field Medical Veritas International, Inc. Then select it. That’s it! The site will prompt you to shop on the Amazon Smile store instead of the regular Amazon store. Medical Veritas International, Inc. will then receive from Amazon 0.5% of what you spend on the Smile store. This donation will help sustain our 501c non-profit online services, such as our frequency healing stations broadcasting on 528Radio.com. Show your positive support for us without any cost to you. The 0.5% may not seem like a lot, but maybe with your help, we can keep our services going and expanding. To help, you can select any of the banners below, post them on your web site, or encourage others to do the same.